Blues machine with hair. 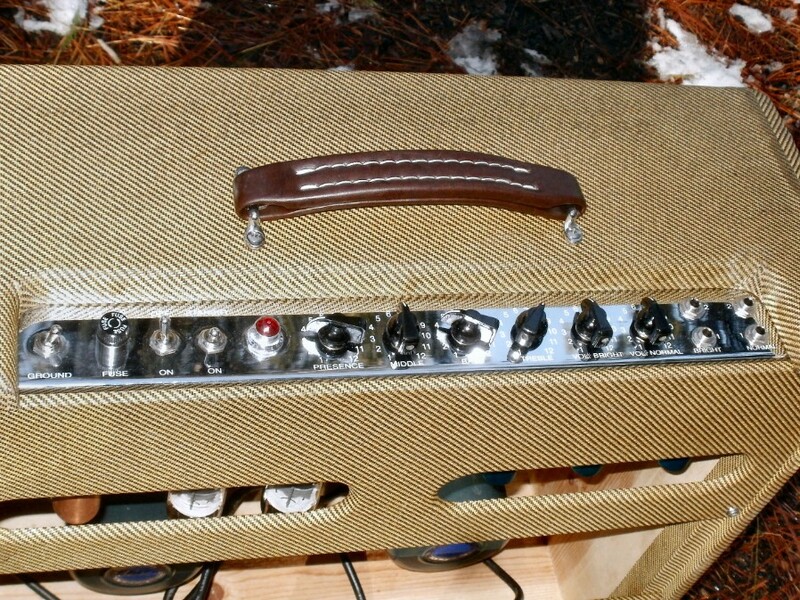 That's all we could think to say when completed our first of the tweed George Fullerton's design for Leo's amps. Heard the ultimate, raw organic crunch of this monster. 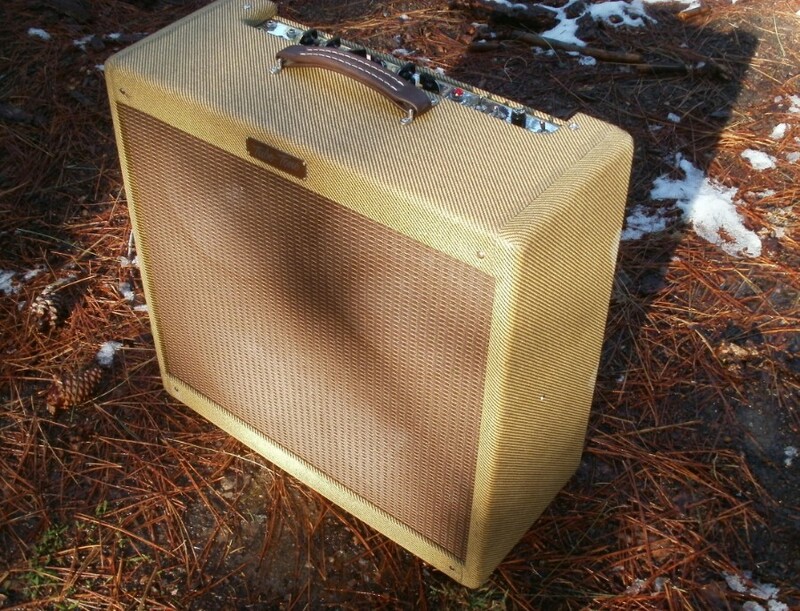 The circuit is the Fender 5F6A that was used in the '59 Bassman, which is the amp that was copied by Jim Marshall when he built the Marshall JTM 45. 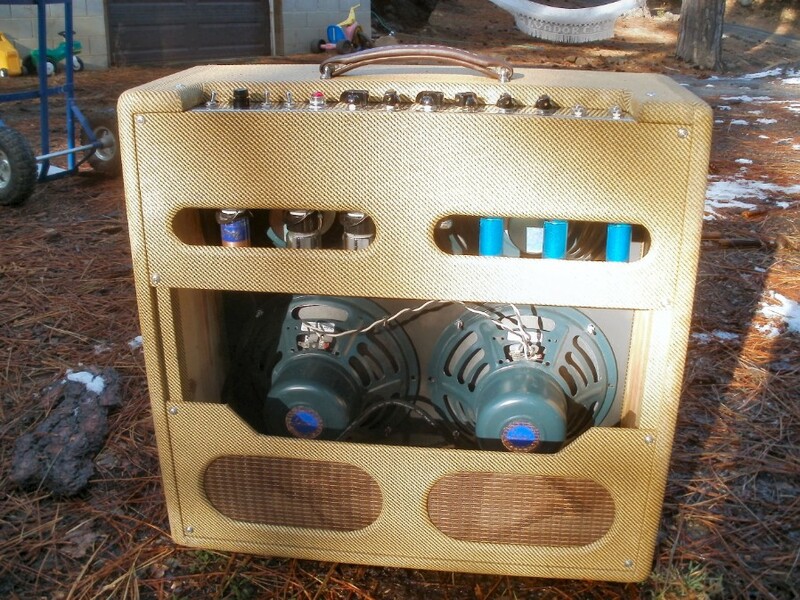 Just as Marshall, we've also copied Leo's design but we kept the 10" speakers. Jim obviously never had to load in a cabinet with 4x12" speakers by himself. Circuit is true to Leo's 5F6A with the exception of the fixed bias circuit. We use the modified adjustable fixed bias circuit of the AB763 amps with dual bias pots for precise adjustment of bias voltage to each power tube. Controls are Volume normal, Volume bright, treble, bass, middle, and presence. 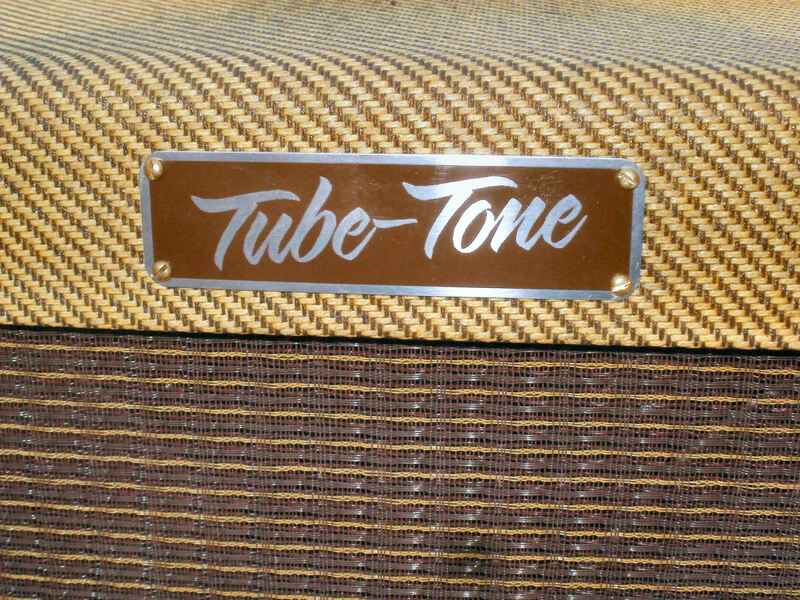 Two JJ 6L6GC power tubes with all JJ preamp tubes. Speakers are (4) 10" Weber Alnico Signature 10S, giving nice warm breakup at good stage levels. This is deposit only. Balance due when ready for shipping. Total price shipped, in continental states is $1670. Total price to other countries is $1610 plus shipping. Specify voltage required, jewel light color and any mods when ordering. CA residents add CA sales tax.